Sorry it has taken a little while to add to this next instalment of our social media FAQs, but we have been receiving new batches of social media questions that we have wanted to answer and then share, hence the delay. How frequently do I need to capture records of our social media engagement? Can we tell clients that we don’t want to receive their feedback or complaints via social media? Do I need to keep information about what content the hyperlinks in my social media posts led to? Does the information that I make and keep about my social media business need to look exactly like it did online? Can I use just one tool for managing all my social media information? We have a broadcast system to communicate emergency messages via social media when needed – do I need to know the time and date that I broadcast a particular social media message and know when someone receives it? What information management considerations apply to wikis? What information management considerations apply to collaborative editing tools like Google Docs? Like all records and information management issues, this is a risk based decision that you need to make based on an assessment of what your social media channels are designed to do and based on how your community is engaging with them. For example, if you sporadically tweet marketing messages via a corporate account, there is limited community engagement with your messaging and there is no long term business value in the information you are broadcasting, you do not generally need to worry about capturing this information and can leave it in your social media application. If however you want comprehensive information about all of your social media communications, you should develop a schedule to build governance and accountability around this approach. There are a variety of tools you can use to export full records of much of your social media engagement but to build a schedule around when you deploy those tools to capture these records, consider your social channels, the frequency of your communications, the extent of community engagement with your communications and the exact nature of your communications and your community engagement. For example, are you using a very large and relatively stable social media platform like Twitter? The size and ubiquity of Twitter means it is unlikely to disappear tomorrow and this means that for low value or routine business information, you don’t need to schedule urgently information capture immediately or every week. Instead you may assess your requirements and decide that you only need to capture comprehensive downloads every 2-3 months or every 6 months for less dynamic accounts. But, say you are tweeting about a specific project or campaign and getting a lot of community response and your organisation is investing a lot in the success of this project. For this form of business, there is likely to be more need for accountability, information sharing, reporting, business analysis and use of your social media information. For this type of business you are likely to want much more frequent capture, possibly on a daily or weekly schedule, to ensure this high value business information is captured, shared and made available to all staff with a need to know in the organisation. Again, if you are using social channels to engage on issues that would be regarded as high risk – they impact vulnerable communities, or are about very high value projects or they are seeking community feedback on significant issues or plans or projects etc – you should schedule regular capture. There are real business risks and accountabilities in these areas and you want to be sure your organisation has good, accessible, comprehensive and accountable information about this business whenever it needs it. There is more discussion of these issues in Management strategies for social media information. While it can be legitimate to ask your community to use existing formal channels rather than your social channels for particular types of communications, you should not have statements on your corporate social accounts with messages like: ‘complaints received via Facebook are not officially registered’ or ‘requests for services made via this account will not be logged’. You could include a statement on your social channels saying ‘If you would like to request a service please use our Customer Service Request form’ and include a link to that form, or saying ‘Please submit all complaints via email’ and provide an email address or a link for people to use. However even with these statements, people are still likely to use your social accounts to request services or to make complaints or interact in other ways with your organisation. As your organisation is itself using these social channels as official communication channels, you do need to respond to valid business issues submitted via your social channels and, where needed to support your business, make and keep records of these issues. If business issues are submitted via social media but you prefer to use existing formal channels to handle these issues, you can do this. You could have a process in place to ensure that whoever monitors or manages your social accounts takes a screenshot of the comment or issue, or runs a Facebook Activity report etc and then emails this to the relevant action officer for attention. This business issue which was initiated through social media then becomes part of your normal business channels. However, if your community prefers to engage through social media, you should consider ways of managing business issues that arise there on social media. To support this, you should consider applying a ‘needs based information strategy’ as described in Management strategies for social media information. This just means you manage information coming through your social media channels as and when you have a business need to do this. This depends on the nature of your social media business. In many instances it may not be significant but, if in particular business areas it is going to be important to know exactly what a tweet or post was referring to, you should develop a means to capture a record of the referenced web page where necessary. in a year’s time, is it going to be important to know what the advice a client was referred to was? in the future, will we need to know what webpage a client was pointing to in their comment? if our policies or official advice change regularly, will it be important to know what version of our policy or advice a client was directed to at the time of their enquiry? If these types of issues are likely to be important, then you should develop a process that will enable you to capture information about your web content that will support your high risk social media business. Capture of this information could be a manual process to capture either the full URL or a screenshot of the page itself. Alternatively it may be possible to develop an automated process and deploy a tool that will automatically take a copy of the web pages referred to in your tweets. It may be that you will consider different strategies for different social media accounts. For example, depending on their business purpose, some Twitter accounts will reference external links much more significantly than others. A Twitter account used for marketing or communications may generally point off to many web-based resources, while another that is used to facilitate discussion and debate will primarily host conversations and will not reference as many external resources. You also need to be aware of issues associated with content that is referenced using short URLs. Short URLs are likely to be less supported and accessible than regular URLs. They are designed as a short term service, designed to facilitate short online communications and no guarantees are provided about their longevity. Also, a regular URL generally provides information about the location and context of an online resource whereas an auto-generated short URL does not. In a social media information strategy you may want to look at the short URLs contained in your organisational tweets or other social media sources and determine whether there are any specific circumstances where you need these represented as a complete URL, in the information you capture about your social media communications. First and foremost, your information management has to be achievable and sustainable. If your information is required for accountability, reporting or reuse purposes, it should is presented in an accessible, human readable way. Capturing data exactly as it looked in the system is desirable but, for most business uses, it is not as important as achievability, sustainability and accessibility. In some cases, social media formats and presentation styles may be too difficult to replicate and keep. AJAX, the format that Facebook pages are presented in, is very complex. It is excellent for presenting dynamic, mixed content but could create a complex legacy problem if you wanted to manage data in this form indefinitely. If, for specific your business or legal purposes, it is important to keep a record of how your social media site looked at a particular point in time or if you need to capture a record of a specific comment in the context that it appeared, consider capturing screenshots saved as PDF as a way to make and keep this information. ensure the information is well managed within your corporate environment. See our advice on Management strategies for social media information for more advice on how to manage the accountability and integrity of your social media information. 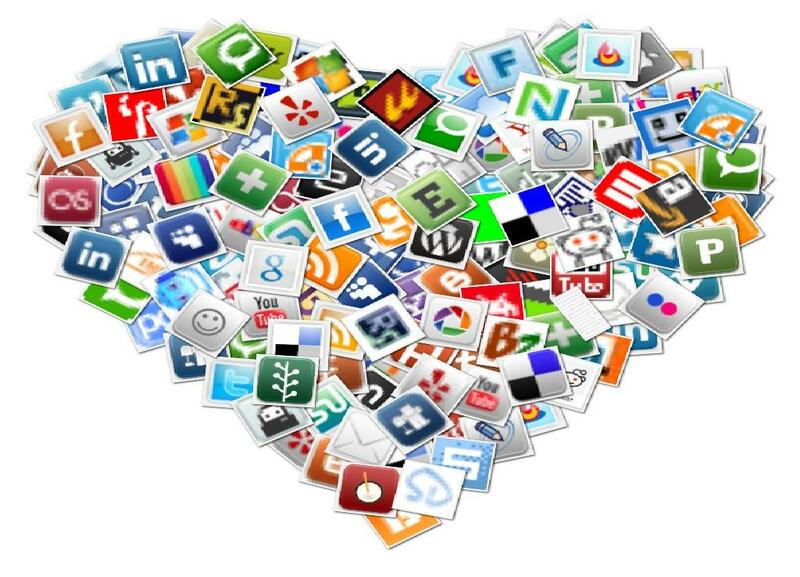 Can I use just one tool for managing all my different social media information? Again, this depends on the social media channels you are using. If you are using lots of different channels, you may need to look at using a variety of tools to work with all your social systems. This is because social media tools are generally proprietary and commercial technologies. There is often little similarity between them and tools generally need to be configured to work with each specific social applications. Therefore, generally, it is complex for tools to be configured to collect content from all forms of social systems. Social systems are also constantly evolving which means that the tools that support them change regularly as well, making it difficult to use one tool consistently to manage all relevant business information. See our advice on different tools for capturing social media information for more information about different social media tools and how they can be used. We are keen to expand our list of tools so if you have any recommendations to add, please contact us. You definitely need to capture the date and time of broadcast when communicating messages through this system. Emergency broadcasts provide critical information to the community and it can be very important for organisations to be able to account for the information that they broadcast at specific points in time. However you do not need to capture information about when someone receives your communication as it is often not possible to do this. Geographical coverage issues, volume capacities, specific device issues and their availability can all affect transmission time and capacity. In these circumstances you do need to capture a record of what was communicated from your environment but you cannot control what occurs in other environments. When using a broadcast system to generate and broadcast social media communications across a variety of channels in emergency situations, you may also want to ensure that your system can generate an exception report, to make sure you are informed if some posts are not successful. This can serve immediate business needs for re-communicating certain messages and can also provide a record of communication transmission. With these types of complex systems you need to ask fairly complex questions to try and determine exactly what parts of the system you need to keep as ongoing business information. Wikis are often used for specific projects where collaboration, clear versioning and tight management controls are required. determine whether it is desirable to capture screenshots to record the look and feel of the wiki. can the information be protected, shared, used and kept in the Google Docs environment for as long as it is required? if not, what information should be exported out of Google Docs, who will export it and where should it be kept? when will information export be performed – daily, weekly, at key decision points, at project completion etc? after immediate collaborative business purposes have concluded, do any accessibility restrictions caused by password controls limit corporate information availability and reuse? If so, should export into more accessible corporate environments considered? what technical and administrative controls are required to access information, such as secure log in and does this impede corporate ability to manage necessary information? for accountability, traceability or version control purposes, does any revision history need to be captured in some instances? is there the capacity to lock down pages when complete or at specific approval points, to prevent their subsequent alteration? how is ownership between multiple collaborators to be determined? Are formal agreements around this required? who has capacity to purge unnecessary drafts or extraneous information? are staff aware of the need for version control and for clear labelling of content so it is clear what the most relevant, useable and definitive business information is? if the information on Google Docs needs to be kept for periods of 5+ years, have you determined strategies to ensure ongoing accessibility can be maintained? Can you ensure that the content is not restricted to just one personal login? How will all relevant staff know the content exists and is useable for business purposes? Next: One final set of social media FAQs, coming quite soon, promise! Brilliant post Kate. The questions on wikis were exacty what I was looking for and we can use this to open a dialogue with staff using these. Thanks!